The Mille Feux large, flush fitting Tiffany ceiling light uses many pieces of cream Tiffany art glass in a geometric pattern, and is inlaid with glass bead work. 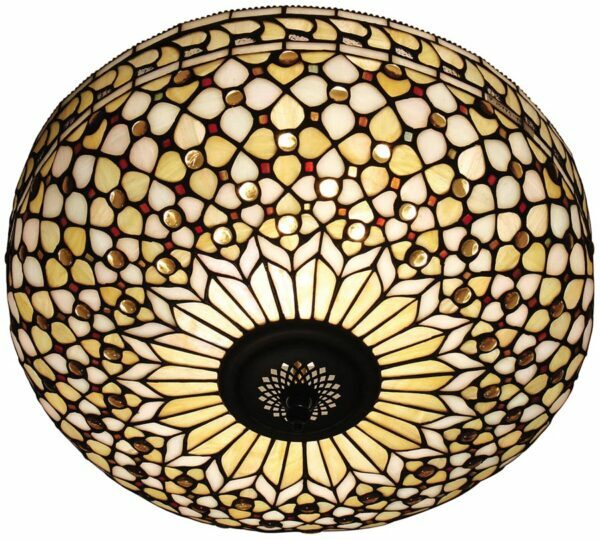 With a wonderful smooth bowl shaped dome, this flush Tiffany ceiling light fits closely to the ceiling making it ideal for lower ceilings. The Mille Feux large, flush fitting Tiffany ceiling light, designed and manufactured by Interiors 1900.